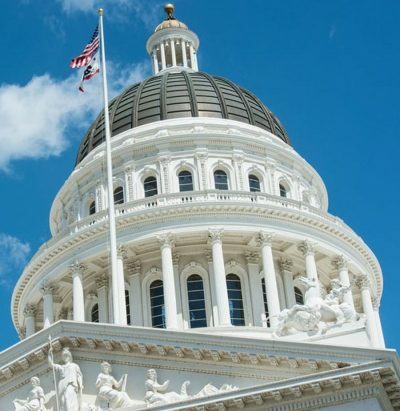 California’s Bureau of Medical Cannabis Regulation has released a notice of rule making with hearing dates starting June 1 and draft regulations for retailers and distributors as well as laboratories. The California Department of Food and Agriculture has proposed regulations for cultivation, nurseries, and processing. The Department of Public Health has proposed rules for manufacturing, including extraction, processing and infusion. CAL NORML REPORTS, May 2017 – California is racing to enact new rules to regulate marijuana before January 1, 2018, when state licensing and taxation of the industry is set to begin, along with adult-use sales in localities that permit it. In a long-awaited announcement, the Bureau of Medical Cannabis Regulation released preliminary regulations for medical cannabis licensing and distribution on April 28th. Meanwhile, the Department of Food and Agriculture released regulations for medical cultivation, and the Department of Public Health for manufacture of extracts, edibles, and other products. BMCR regulations on product testing were released May 5th. Regulations for adult-use facilities will be released later in the year. The public has 45 days to comment on the proposed regulations. Complete information is provided at the California Cannabis Portal. The proposed regulations largely follow rules already laid down by the legislature in the Medical Cannabis Regulation and Safety Act (MCRSA) in 2015-16. The BMCR regulations prohibit product give-aways and require pre-rolls to contain flower only. Among other things, they also require dispensaries to record the name or other ID of all purchasers to ensure they don’t buy more than eight ounces in any one day. CDPH proposes to limit edible products to no more than 10 mg of THC per serving and 100 mg of THC per package. Tinctures, capsules, topicals, etc. would be limited to 1,000 mg of THC per package. The regulations as written would prohibit products infused with nicotine, added caffeine, or alcohol, as well as those requiring temperature controls (nothing canned, no dairy, meat, or seafood of any kind, and only shelf-stable products). In the cultivation regulations from CDFA, “canopy” is defined as the boundaries of all areas that contain mature cannabis plants, including all spaces within the boundaries. Noncontiguous canopy areas must be separated by a wall or 10 feet of open space. Each level of a shelving system is included in the canopy. 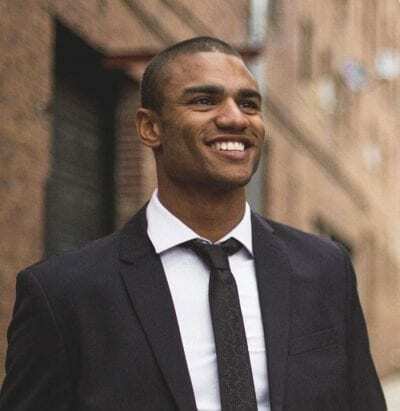 The total number of cultivation licenses per person or corporation is not to be limited, provided the total licensed canopy does not exceed four acres, the allowable amount for a Producing Dispensary with three retail locations. Persons or entities not presenting a Producing Dispensary license will be limited to one Medium Outdoor, or one Medium Indoor, or one Medium Mixed-Light license. The CDFA regulations maintain MCRSA’s restrictions on vertical integration, which are not contained in AUMA. Priority is to be given to applicants that began operation and were in good standing with their local jurisdiction by January 1, 2016, and are to be reviewed in the order in which they are received. Meanwhile, dozens of regulation bills are pending in the state legislature. First and foremost is the Governor’s annual budget trailer bill, which includes comprehensive legislation to meld the medical-only MCRSA rules with the adult-use rules approved by the voters in Prop 64, a.k.a. 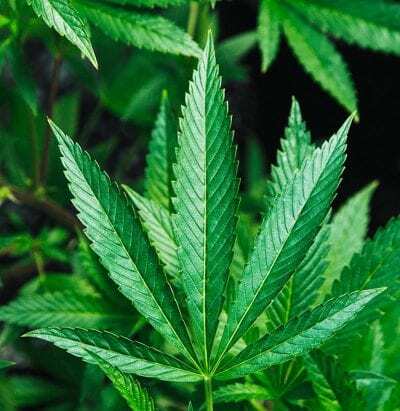 AUMA (the Adult Use of Marijuana Act). 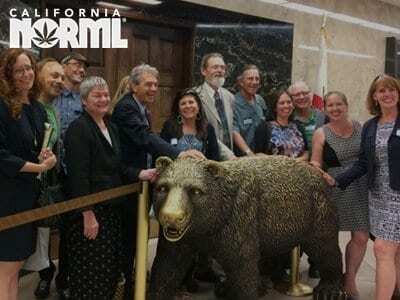 Cal NORML has joined other cannabis advocates in supporting Gov. Brown’s general approach, while expressing reservations about certain provisions. “In the few cases where MCRSA and Prop. 64 differ, the Governor is correct to favor Prop. 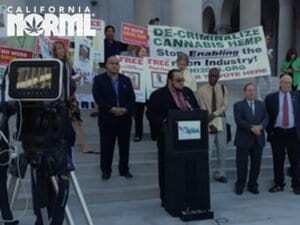 64, given that it was approved by the voters,” says Cal NORML legislative director Dale Gieringer. One potential problem in the Governor’s bill is that it would end the state medical marijuana ID card program. Prop 64 requires a state ID for patients to be exempted from the sales tax. It is unclear whether the Governor’s proposed language would still exempt patients from the sales tax without the state ID card. 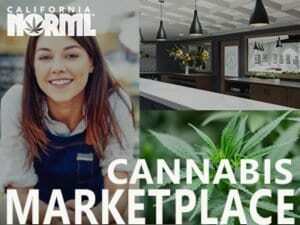 Cal NORML is also concerned about the absence of language specifically authorizing the Bureau to deny licenses that would hinder market competition and increase monopoly power. Another significant problem with the Governor’s bill is that it requires that medical and adult-use licensees operate on “separate premises.” Not only would this involve costly duplication of equipment by the industry, it would also inconvenience Prop. 215 patients seeking medical products from facilities with adult-use licenses. Other states, such as Colorado, permit medical and non-medical sales from the same stores. One major bone of contention is a cumbersome requirement from MCRSA that independent licensed distributors with no connection to the industry distribute all products. Modeled on the liquor industry, this policy is pushed by the Teamster’s union, which is seeking to get a toehold in the industry. Critics, including Cal NORML, object that independent distributors are required in no other legal cannabis state and would needlessly raise costs to consumers and the industry. The Governor’s proposal follows AUMA in solving this problem by allowing any licensee to serve as their own licensed distributor. In other provisions, the bill authorizes the bureau to issue temporary licenses and to permit the sale of untested products for a limited amount of time while the testing system starts up, while making it lawful to possess and transport cannabis products for research and development. Numerous other regulation bills are pending in the legislature, mostly concerning technical issues. 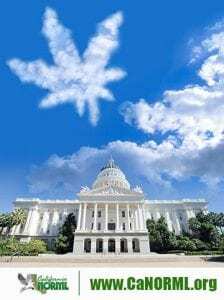 The authors of MCRSA are sponsoring a clean-up bill, AB 64, that would among other things explicitly authorize medical cannabis collectives and licensees to operate on a for-profit basis, ban cannabis advertising on state highways, and authorize trademarking of cannabis products. An analysis by the University of California Agricultural Issues Center estimated the cost of regulatory compliance at between $225–$873 per pound—the bulk of it due to the cost of testing. This doesn’t count additional new taxes, including a 15% excise tax on all retail sales plus $9.25 per ounce on production. Public comments to BMCR and CDPH must be received not later than 5:00 p.m. on June 13, 2017, or for laboratory regulations, by June 20. The last day to submit comments to the CDFA on cultivation regulations is Wednesday, June 13 at 5 PM. To email comments, write in the email subject line: Comments on Medical Cannabis Cultivation Regulations. Address the email here. Written and oral comments can also be made at public hearings.